Prepared to your satisfaction. Served with rice & salad (or soup when available). Salad made of lettuce, tomato, cucumber, radish, onion and our house dressing. Falafel with your choice of tabouleh, hommos or baba gannush. 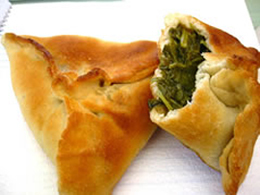 Vegetable patties prepared from chick peas, fava beans and spices served with pita. 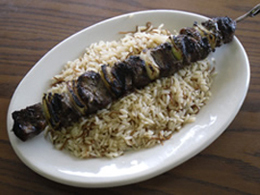 Marinated char-broiled skewer of chicken served with rice & salad (or soup when available). Served with mayonnaise, lettuce, tomato, onion and house dressing. On white or wheat with mayonnaise, lettuce, tomato, onion, and house dressing. Served with chips.